Considering the purchase of a Bariatric Height Adjustable Reclining Chair? 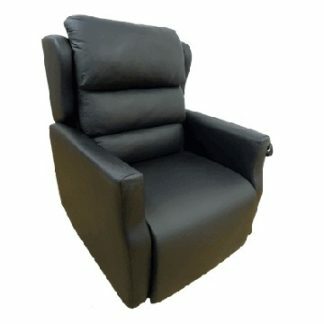 Hire a Bariatric Height Adjustable Reclining Chair from us for as long as you require giving you the peace of mind that this is going to fulfil your needs. If after you have tried the care chair you would like to purchase one then we will allow you up to 1 weeks of the hire discounted against the purchase. Plus if you wish to purchase the care chair we have delivered to you on hire then you will also benefit from a further 10% fleet discount off of the retail price. Accessories are charged in addition to the prices quoted above; please call us to discuss any options and prices for this care chair. 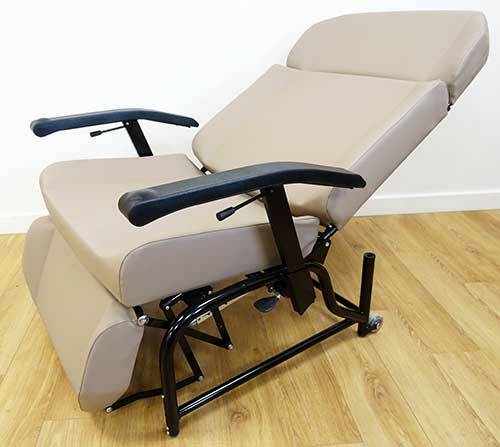 The Bariatric height adjustable reclining arm chair designed for use in residential and care environments to enhance comfort and support. 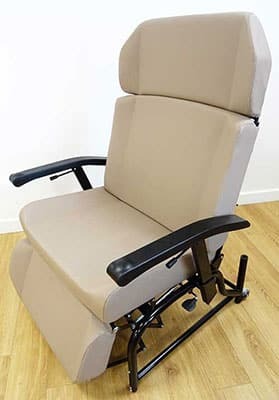 The Bariatric height adjustable reclining chair is a sturdy rest chair designed to be used to enhance your everyday comfort whether you are in a home environment or a care environment. This chair features height adjustable legs and height adjustable & retractable wide armrests that can be adjusted to suit the user and maximise your comfort and support. 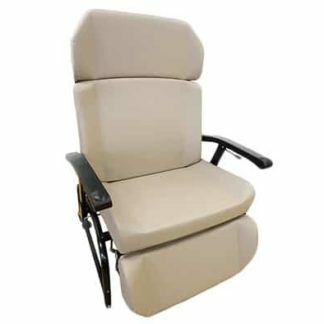 A bariatric high seat chair with reclining back and adjustable footrest plus independent and removeable headrest. 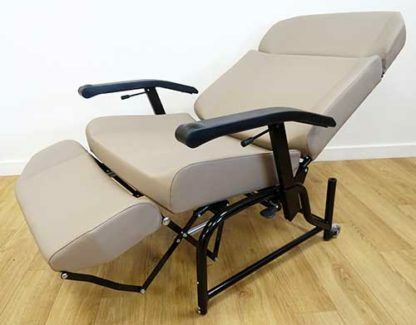 This bariatric arm chair boasts a range of manual features including a reclining back rest and adjustable footrest allowing you to find a position that is suitable to you. Plus, it has an independent and removable headrest offering you the extra support you may need. The seamless M1 fire resistant upholstery is made from high resilience foam to add to the comfort of this arm chair. 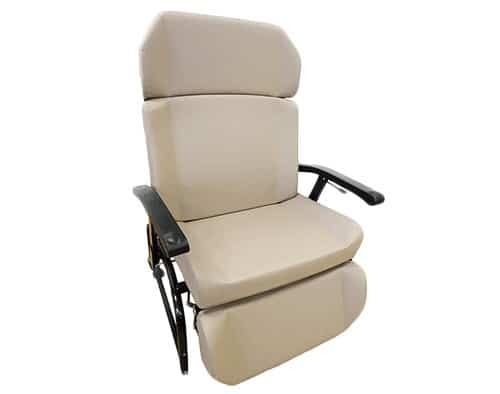 Durable bariatric reclining rest chair with generous 28” seat width and a maximum user weight of up to 330kg offering a seating solution for the larger user. This is a durable high back chair offering a suitable option for those wanting everyday use or for more intensive use in a home or care environment. It has a generous 28” seat width and can carry a maximum user weight of up to 330kg (51.9 Stone) allowing this chair to offer a seating solution for the larger user. Please note that on the long term rental pricing the first payment is always plus delivery and collection (Please see button ‘Delivery Costs’ above to work out this cost or call the office for a quote). NEW PRODUCT – A NEW product is just that, brand new and you will be the first user.